Brackets is a modern text editor that makes it easy to design in the browser. Try Creative Cloud Extract (preview) for Brackets for an easy way to get clean, minimal CSS straight from a PSD with no generated code. 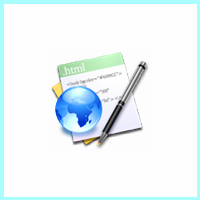 It's modern, open source text editor that understands web design, Its lightweight, yet powerful, modern text editor, Inline Editors, Live Preview, Preprocessor, With focused visual tools. CoffeeCup HTML Editor is a fully-fledged web code editor with some unique functionality like a smooth workflow for adding Structured Data, highlight corresponding code, edit components that update everywhere etc.